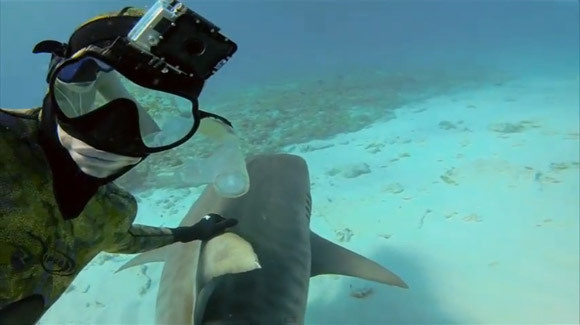 Watch this inspiring and beautiful underwater documentary, featuring Roberta Mancino and big wave surfer Mark Healey, wonderfully narrated by the two, sharing their story and connection to the underwater world as they swim amongst tiger sharks and fish in crystal clear water. 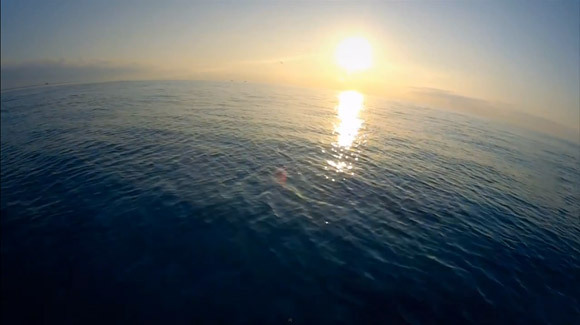 The Director’s Cut dives deeper into the world of a bird and a fish, Roberta Mancino and Mark Healey. 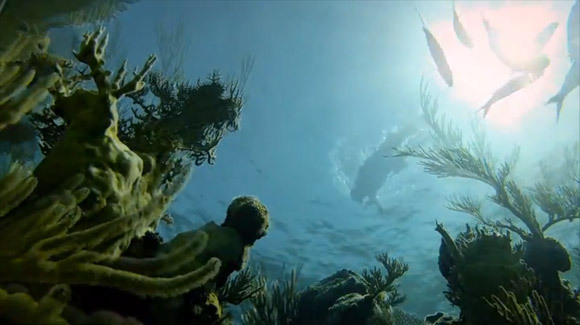 This story was collaboratively created on-site in the Bahamas over 5 days, capturing over 150 hours of footage. Directed and edited by Bradford Schmidt and Brandon Thompson. Camera: Andy Casagrande, Mark Healey, Roberta Mancino and Bradford Schimidt. Learn more about the new GoPro Dive Housing.